Mark Jackson is such an a***** telling fans not to go to game tomorrow - including warriors fans. Where was this outrage on Sunday? The Warriors coach said: "I believe if it was me, I wouldn't come to the game. I believe the fans, the loudest statement that they can make as fans is to not show up to the game." LOL, not surprised coming from that guy. His players are probably hoping he means it when he says he wouldn't come to the game. Serious right? It's his home game, of course he wouldn't say that. 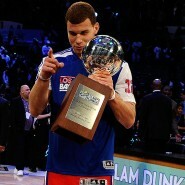 Of course he is saying sh*t in hopes that the crowd won't come and support the Clippers, giving his team an advantage. Exactly huh- don't just talk, walk the walk- have himself and the his entire team boycott the game then. Mark Jackson is way out of line in telling Clippers fans not to show up. Geez. Fans MUST show up to support the players and coaches. Clippers fans will come because we are one! Total scumbag, only sees this situation as an opportunity, truly pathetic. WHat part of the game is this. Hella dirty!!!!!!!!!!!!!! I think Mark Jackson said that ALL fans not show up, not just Clippers fans. Still, it's not exactly the right message to send to the players if their fans aren't even there to support them while they're playing. Fraud Jackson really needs to STFU, what a classless piece of crap. Clippers are going through a tough time and the ONE thing we DO need is our FANS! I'll be at game 5 representing ClipperNation. **** the haters. This guy is the epitome of scum. There's no place in this league for scum. I didn't see him ask the Warrior fans yesterday not to show up at Oracle. What piece of ****. If you feel so strongly about this, work it out with Doc that both teams don't play and see the kind of message that sends to Sterling and the league. 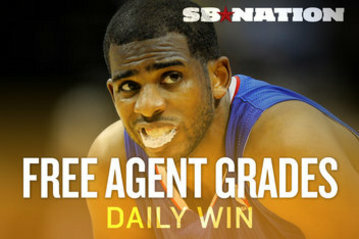 Because GS fans are equal to Clippers fans in LA? How about the warriors just stay home? I mean... Sterling's going to make a lot of money from that game tomorrow night... TV rights, merchandising, concessions, tickets. The duds could stop all that if they just made a public statement saying they refuse to play the Clippers and further enrich a racist. Take a stand, Mark... support your race! No, no, no. I meant that it's best that Clippers fan SHOW UP to cheer for our team. I don't really care about GSW fans, to tell you the truth. Hey Mark Jackass, you realize DTS audibly said those comments, right? Why not make a statement by boycotting talking? oh yea mark you say this After game 4. Why doesn't golden state boycott the gm and give gm 5 to us !! Lol come on mark step up !! 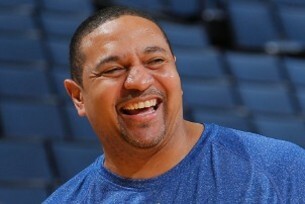 Mark Jackson is a Hypocrite? 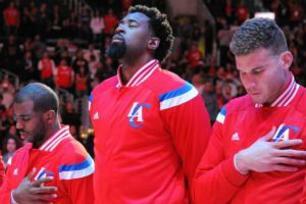 → Future of the Clippers Franchise; NBA to Make Sterling Sell?